If you burn more calories than you consume, you will lose weight. Running burns calories, which can help you lose weight -- provided you don't overeat. Always consult your doctor before starting this or any exercise regimen. How much weight you can lose with 30 minutes of daily running depends on your speed and your starting size. A 30-minute run at 5 mph burns about 298 calories for a 155-pound person and 355 calories for a 185-pound person. 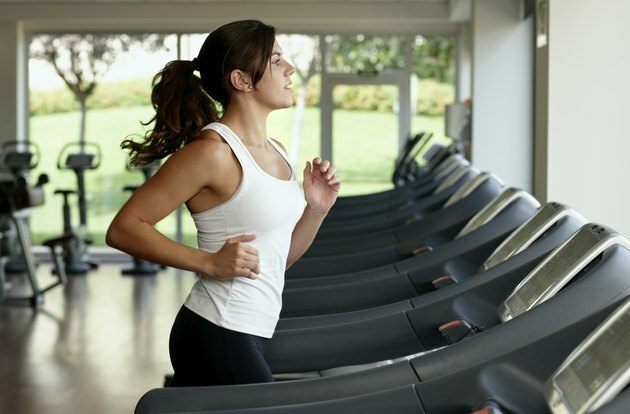 Run at 6 mph and burn 372 calories and 444 calories respectively. For a 7.5 mph run, the same people burn 465 to 555 calories. A pound equals 3,500 calories. Assuming you are eating exactly the number of calories you need to maintain your existing weight and don't add any more once you start running, you can lose between half a pound and a full pound per week. One thing to consider is that running every day can lead to burnout and injury. While your goal of weight loss is commendable, you're best off adding cross training in the form of another cardio activity, as well as strength training, so you stay healthy as you lose the weight. Aim to take at least one day off all formal exercise each week to give your body a rest too. Again, always consult your doctor for the last word. Can I Lose Weight by Running Two Miles a Day?